Woodman was born in Buxton, Maine, on September 22, 1797. He became a farmer and lumberman. He was five feet, 4.5 inches in height, with a dark complexion, black beard, long head, high forehead, and hazel eyes. In February of 1819, he married Apphia Elden, 21, also of Buxton. Elijah, a seventh-generation American, moved his wife and six children to Upper Canada in 1831 in search of opportunity. A seventh child was born in Canada. Woodman established a lumber mill on Otter Creek near the current southwest Ontario town of Tillsonburg. With old-growth timber then massively abundant, and with Canadian and American towns rapidly expanding, he prospered for a few years. In 1836, he moved to London, Ontario, then a small town of 1000. The Panic of 1837 hit the economy of Upper Canada almost as hard as it did the US. He was stuck with massive piles of lumber he could not sell and went bankrupt. When the Upper Canada rebellion began in late 1837, Woodman stayed away from the local uprising led by Dr. Charles Duncombe in December. But Woodman could not ignore the backlash. The colonial government soon arrested almost anyone who favored government reform. That heavy-handed response offended Woodman’s US-inspired democratic views. Woodman had been a member of the Mason Lodge since 1820. Many men arrested in London were fellow Masons. As a humanitarian and Mason, Woodman felt duty bound to provide aid. He helped prisoners gather defense witnesses, he bore messages to and from their families, and he witnessed trials held in March 1838. Such activities attracted the suspicions of local Tory authorities. This they added to Woodman’s list of other sins: his American roots, his failure to seek citizenship after seven years in the colony, and his membership in the Universalist church. Members of colonial Canada’s established churches distrusted the upstart, American-based religious orders. Viewed as a security threat, Woodman was arrested in June 1838 for allegedly passing knives and files to prisoners. Never tried, the courts released him in August only to re-arrest him days later. In late August, the jail doors opened again. In his later writing Woodman stated: "These rascally proceedings made me a rebel." He fled to Michigan and then journeyed through Wisconsin looking for new opportunities. He decided to move his entire family there and start over. One of the men arrested and held in London’s jail during Woodman’s visits in the spring of 1838 was William Putnam, a fellow American. A reform sympathizer, Putnam attended a rebel meeting on December 8, 1837. While he dismissed the notion of armed revolt at that meeting, his presence at the meeting led to his arrest weeks later. After his release May 2, a friend warned that his re-arrest was eminent. Putnam fled to Detroit. That city became a gathering place for many Upper Canadians fleeing the Patriot War troubles. When Woodman returned to Detroit in the fall of 1838 to arrange for his family’s move to Wisconsin, he met many old friends and acquaintances from London. Among them was Putnam, now a rebel general. Woodman, radicalized by his treatment in London, joined the Hunters Lodge, thus completing the metamorphosis from pacifist sympathizer to armed rebel. On December 4, Woodman boarded a stolen steamer and joined the ill-fated raid on Windsor. On December 5, soldiers arrested Woodman and others fleeing to Chatham. At his trial January 18, 1839, Woodman claimed he was told the steamer intended to sail to Black River, Michigan, where he had business to transact, but that he was “forced off’ with the invaders near Windsor. 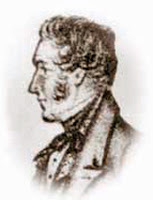 Woodman called fellow rebel Robert Marsh as a defense witness. Marsh confirmed that Woodman criticized the invasion plans while in Michigan. The court found him guilty and condemned him to be hanged, a sentence later commuted to penal transport for life. He languished for four months in London’s dreary jail. He developed foot problems. (The cold and filth of that prison were documented in detail in Robert Marsh’s memoirs.) With other prisoners, jailers moved him to better accommodation in Toronto that April and then to Fort Henry in Kingston that May. In September 1839, Woodman and scores of other rebel prisoners began the long voyage to Van Dieman’s Land. With Robert Marsh, Samuel Snow, and 74 others, Woodman disembarked in Hobart Town (now picturesque Hobart, Tasmania) on February 11, 1840. Like most of the rebels, Woodman earned his ticket to leave after two years. Granted a pardon July 23, 1845, he had no way to return home—ships and passage money were both scarce. By then almost 48, he suffered from the affects of hard work during his two years as a convict laborer. He had tuberculosis and an eye ailment that took most of his sight. Destitute, he often relied on the generosity of the local Masonic Lodge for food and clothing. Woodman scraped together enough money to buy a berth on an American whaler. He set sail on the Young Eagle March 1, 1847. His health continued to deteriorate. He died June 13 age 50, and was buried at sea. Throughout his ordeal in the antipodes, Woodman had corresponded with his family in London, Upper Canada. He also kept a journal. In his last days on the Young Eagle, too weak to write, he dictated journal entries to a ship’s officer. A few days after his burial, the whaler sank at sea. The officer managed to save Woodman’s journal and eventually returned it to his heirs. Woodman’s family passed the letters and journal down through generations. In 1960, author Fred Landon published An Exile From Canada to Van Dieman's Land based on Woodman’s own words. The source material now resides at the University of Western Ontario.